Dental neglect is never a great idea of money saving. In fact, this only leaves you to far more expensive dental treatments due to an advanced dental problem. This is why dentists advised dental care. This preventive dental technique comes with different methods all made to keep your teeth from the potential risks of dental problems, such as gum disease. Gum disease is a popular sneaky disease. This doesn’t come in full force. It affects your teeth and gums little by little, and only till then, you realized you’re on its advanced stage which makes everything too late. 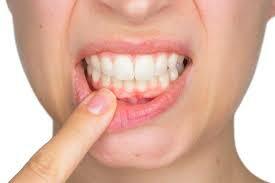 But fret no more, periodontal disease, regardless its stage, is treatable. For individuals who aren’t aware of this dental problem, you should start preventing this problem by learning its factors and the thing that causes its existence. Just like other dental problems, gum disease takes place when you don’t brush and floss your teeth on a regular basis. Poor oral hygiene invites dental plaques. This sticky film contains bacteria that when gets closer to your teeth and gums, it can induce countless adverse reactions, including swelling and tenderness. Based on research, gum disease works by phase. Its first stage is gingivitis. The condition makes your gums suffer from strange redness and puffiness. If left untreated, this could lead to the advanced stage of gum disease. Dental oral surgeons called this as periodontitis. During this stage, you encounter deep periodontal pockets. This progresses daily and digs furiously until the bones surrounding your teeth and gums get affected. Aside from the aforementioned warning signs, periodontal disease lets your experience spaces or gaps between your teeth. You will also see pus around and near your teeth and gums. Gum disease also involves receding and bleeding gums which leaves you prone to tooth loss and jaw deterioration. The most appropriate way to prevent gum disease is to keep the primary culprit off of it. Dental plaques should get extracted not later than a day to avert it from turning it into dental tartars. 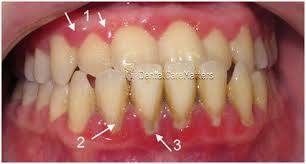 Dental tartars are the crust and hard form of plaques. You can’t remove it through proper brushing unless your dentist does it together with deep teeth cleanings, like scaling and root planing. Healthy lifestyle also plays a vital role in fighting gum disease. Dental professionals verified that most people who don’t smoke have healthier gums and teeth. For individuals with gum disease due to genetics, medications or inevitable instances, like pregnancy, the most sensible way to keep gum disease’s effects at bay is regular dental visit. Dentists will provide you tips to reduce and remove periodontal disorder. Once diagnosed with periodontal disease, you must give your dentist a visit. Professional dentists can offer you different therapies, both non-surgical and surgical procedures. Regardless, your dentist will perform thorough dental cleanings. The purpose is to ensure your teeth and gums are free from bacterial toxins. To prevent your oral health from gum disease, practice dental care at all times! In case you are not aware of this preventive technique, it would be your dentist’s pleasure to explain it.